Unexploded ordnance (UXO) are explosive weapons that did not explode when they were dropped and still pose a risk of detonation, many decades after they were used or discarded. About one third of Laos remains contaminated with UXO left behind from a Secret War bombing campaign during the Vietnam War era, including about 80 million cluster munitions. The majority of victims are children, who mistaken them for toy balls. It started with hand drawings from survivors. Black bombies littering the sky. Red markings everywhere. Farmers running across the green fields. These drawings would be the start of what would lead to learning about a lost history and one woman’s passion to advocate what many thought would be the impossible: a bomb-free Laos. She fights against UXOs. She hearts food more than you and me. And she is an ally for Laos. You know this Lao woman. “Who isn’t her friend? She’s everybody’s best friend!”, exclaimed Michael Boddington, a former NGO director. Few people hold a compelling aura around them. One that gets contagious and forces us to follow their lead and rethink the boundaries of our own compassion. Channapha Khamvongsa is the Executive Director of Legacies of War; the DC-based advocacy group, who’s paving a more peaceful legacy for post-war Laos. This July, Legacies will mark its anniversary with 10 years of trailblazing the humanitarian effort of putting Laos and the UXO issue on the forefront of Congress. From a few million dollars a year of funding appropriated towards UXO-based organizations in Laos, Legacies was able to push for a record-breaking $12M a year. As Margaret Mead once said, “Never doubt that a small group of thoughtful, committed citizens can change the world; indeed, it’s the only thing that ever has.” The work of Legacies truly reflects what the human spirit can accomplish and is evidence of the small but meaningful steps it takes to drive real change in not only Laos but in the US as well. Channapha reflects on her experience as a refugee immigrant and what’s led her journey to where she is today. 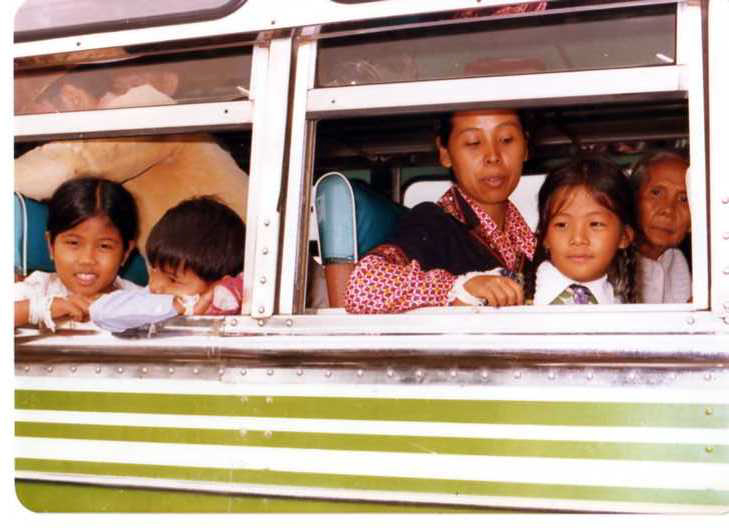 Tell us briefly about your family’s journey from Laos to the US. 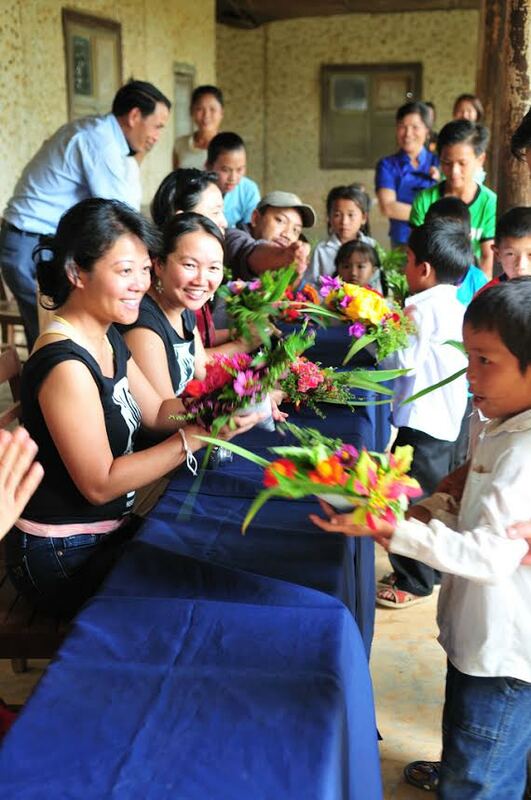 Our family left Laos because of war and the political and economic uncertainty that followed. But at the root of why we fled was because of instability, fear and hope. We left in secrecy and were all separated to avoid detection by the new government. We snuck out by boat across the Mekong. We were eventually reunited at Nong Khai refugee camp in Thailand and after a year there, came to the U.S. in 1980, where we resettled in Falls Church, Virginia. My parents took the biggest risk of their lives for us to have the chance for a better life – free from fear and with unlimited possibilities. Growing up, what is one story that you’ve heard the most that connected you to your journey? The details of how we fled Laos, in particular, the great uncertainty of whether we would all make it across to the refugee camp. There were eight of us, including my grandparents, parents, three siblings and the woman who helped to raise us. We all left in pairs by boat except for my dad and me, where we awaited instructions from my mom about the boat that would take us over. After not hearing from my mom as planned, my dad took things into his own hands and made plans to get us out. He dropped me off with a man and his boat along the river. And he told me that if anyone asks, this man was my dad. I nodded and left with him while my dad looked on as we drifted away. Luckily, I made it across and was reunited with my mom in the camp. My dad couldn’t go by boat as adult males were easily detected as fleeing the country, so he escaped by swimming across the river from the Lao to the Thai side. When he made it across, he was captured by Thai border patrol and put into a holding cell. There was no way to communicate to my mom that he had made it over. So, he waited uncertain of his fate or if he would ever see his family again. What he didn’t know then was when he was swimming over, people stopped alongside the road to see the man that was attempting to cross by swimming. One of the bystanders was a family friend and she somehow recognized my father. She also happened to know one of the supervisors in the camp, so she sent word back to my mom that my dad had made it across and that he was in a holding cell. She sent someone with money to pay for his release. He was eventually reunited with us. All eight of us made it over. This story makes me think about the risk of separation and the good fortune of us all coming back together. So many people never made it. Or if they did, physically, they were broken in other ways – emotionally shattered. I never want to forget the story of this journey. It grounds me and makes me believe that despite all the bad in the world, there’s also so much good. I think this story and our journey has informed in the innate goodness of people. Reflect on the moment you learned the meaning of ‘refugee’? Initially, “refugee” meant displaced, not belonging, lost, ungrounded, outsider, unwanted, and ashamed. Then as I learned about the extraordinary journey of this resilient group, the term “refugee” came to mean survivor, fighter, courageous, inspiring, and adaptable. And refugees have good stories to share – we could have our own TV show – the drama of loss, pain, transformation, triumph and humor of adjusting to a new life and place. Tell us a bit more about your love affair with Lao food. What is your favorite comfort dish? I think Lao peeps are the original foodies. We’re initiated at an early age. Before we even turn one, a feast is thrown in our honor as a baby with a Baci ceremony and a food spread fit for royalty. We learned that food = gathering + rituals + community+ sap lai. Until I left home, I used to think that every meal took a half-day to prepare with about 5, 6 or 8 people gathered at the house, slicing, dicing, boiling, searing, steaming our bountiful meals, which was only as exciting as the conversations that surrounded the preparation. When I realized this communal way of cooking and eating wasn’t normal, I came to appreciate and love Lao food even more. Maybe the slow foods and farm to table movement didn’t start in the Bay Area, maybe it started hundreds of years ago in Laos! What drew you to the UXO issue? The idea of addressing the lingering impact of war was a natural pull for me. What started out as a personal journey – to recover the void in my identity and family history grew into a collective effort to make what was once broken, whole and what was once, invisible, seen. Legacies of War happens to be a story about the Lao experience, but it’s also a story of humanity – how we transcend tragedy, become aware of our interconnectedness and take concrete steps to help our own healing and the healing of others. Most importantly, to learn from history and prevent future harm. My family. My parents and especially my grandmother. She came to the U.S. at the age of 80. Can you imagine? She endured change, survived heartache and chose happiness. She lived to be 100. I think about her everyday and hope to live a life half as courageous and noble as the one she led. We want finish this job. To make sure that in Laos, the future is safer for generations to come, beginning with this one. We also have a new campaign. Stay tuned for our July announcement. Finally, if you were speaking to a room full of the next generation of Lao Americans, what is one piece of advice you would say to them? You matter. And to know that, you have to know where you came from and how you got here. If you don’t know, ask. And if you don’t get the answer, keep asking. Keep curious about your journey and the journeys of those that came before you. Make time and space to reflect on it. Learn to connect the dots and only then, will you have a stable grounding to know yourself – to know your values, your passions, and what will make you happy. It takes lots of heart and mind exploration, but it’s worth the discovery. Legacies celebrates its 10th anniversary event on July 15th, 2014 in DC. To learn more about the work of Legacies of War, visit their website at www.legaciesofwar.org and follow them on https://www.facebook.com/legaciesofwar and https://twitter.com/legaciesofwar. this interview was so touching. i’m so lucky to know you, channapha!